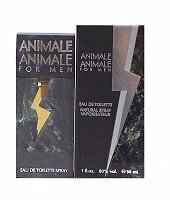 Animale Parfums Introduced Animale Animale in 1994. It's fragrant nature explores essences of bergamot, sandalwood and moss. Blended with notes of chocolate, musk and vanilla, Animale Animale is recommended for evening use.